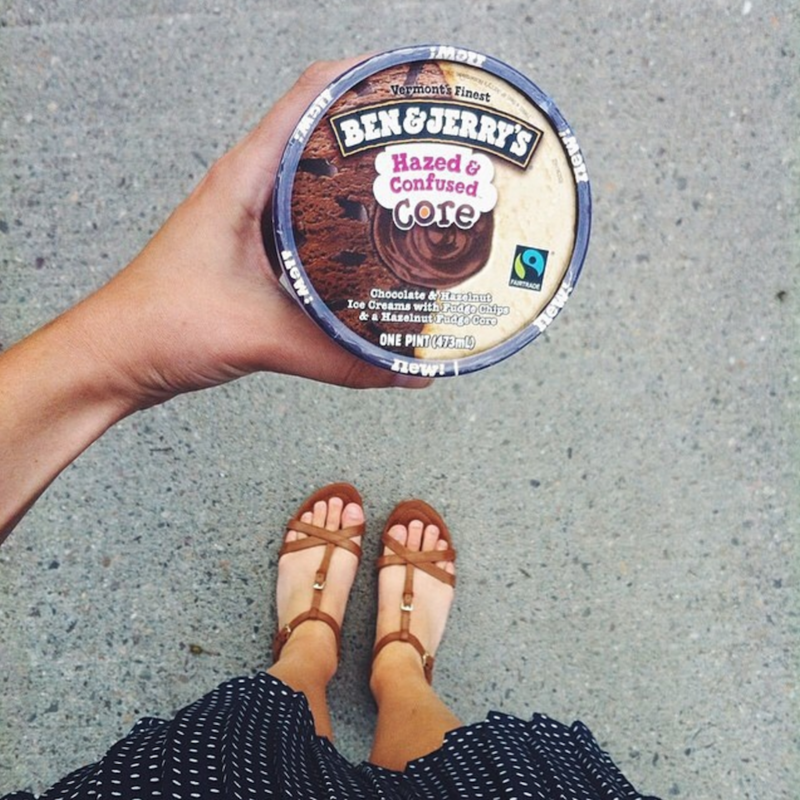 Ben and Jerry's is known for having a plethora of mouthwatering flavors, both in grocery stores and scoop shops. We ranked the top ten. 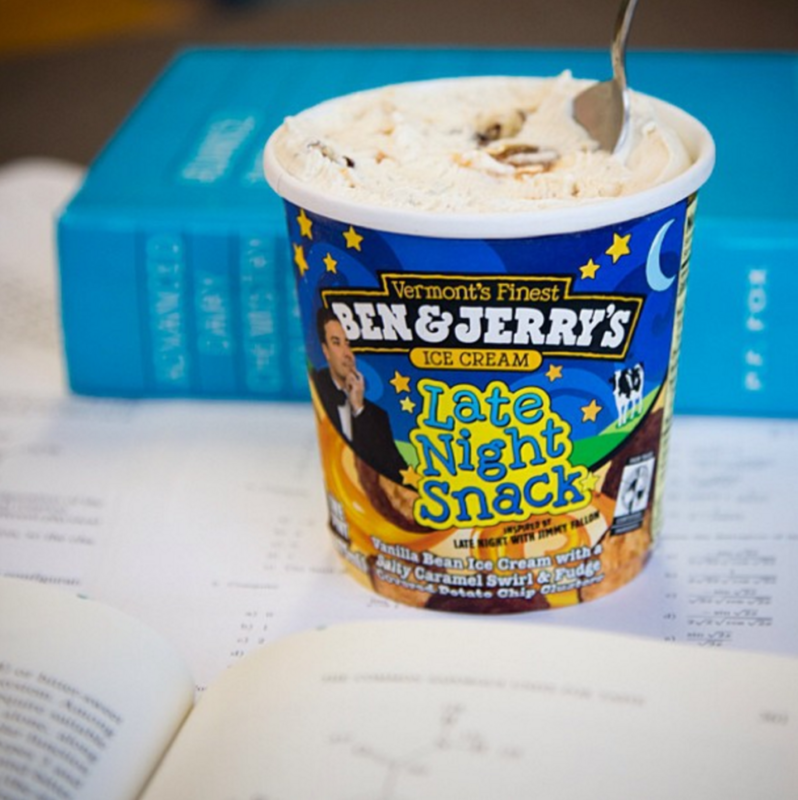 There is nothing like a pint of Ben and Jerry’s. Overpriced from your school’s convenience store when you’re cramming for finals, on special at the grocery store when your mom is shopping and brings five pints home, or when it’s free cone day and you continue to put yourself through the line for just a taste of goodness. There are so many flavors to choose from, between the cores, cookie cores, frozen yogurt, and classics, it gets overwhelming. We ranked our ten favorites (with a few honorable mentions). Now you know what to put in your Vermonster next time you’re in the Green Mountains. The ice cream to end all ice creams. Chubby Hubby is peanut butter chocolate paradise (but with the added surprise of malt). It’s not in scoop shops, rarely in grocery stores, and it is life-changing. 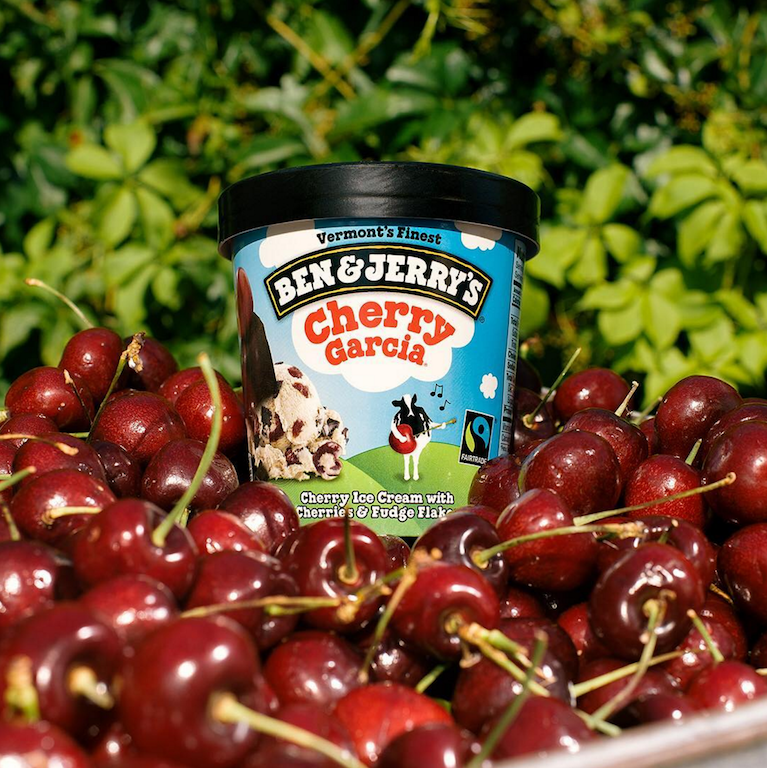 Plus, it wasn’t even invented by Ben and Jerry themselves – it all began with a prank. For those of us who don’t get to experience Nutella gelato regularly, Ben and Jerry saved us. The heavenly marriage of chocolate and hazelnut ice creams is better than any celebrity wedding, and the Nutella in the middle comes conveniently in a core shape for scooping straight out. Cookies and cream ice cream was never the same after Ben and Jerry debuted this beauty of a flavor. 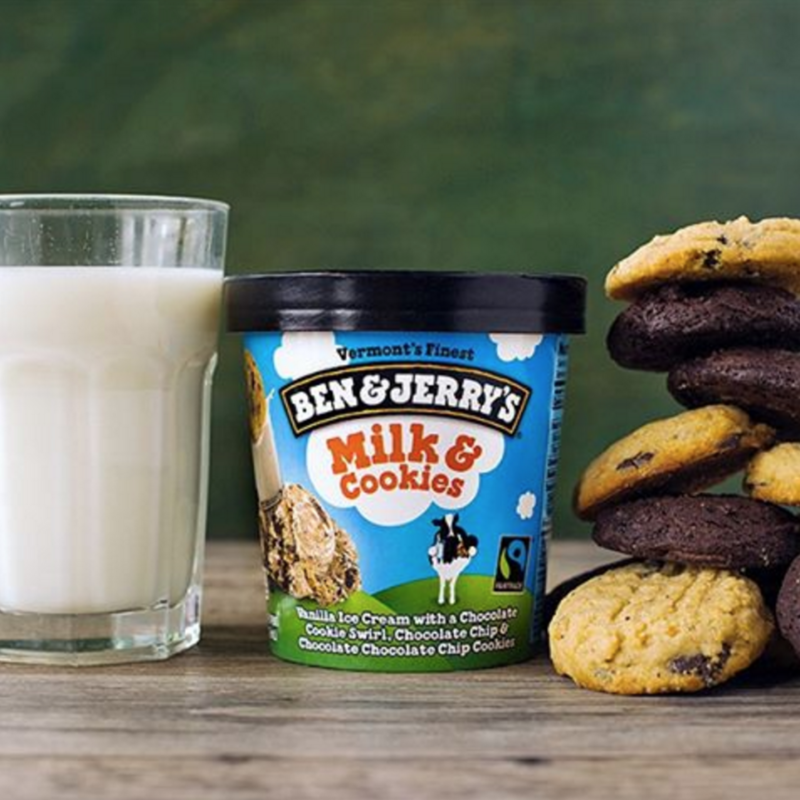 Upping the ante with not just one kind of a cookie, but chocolate chip cookies AND a cookie swirl was truly revolutionizing the ice cream pint game. Milk’s favorite cookie just got a whole new competitor. When cookie dough by the spoonful doesn’t cut it, Half Baked is always there. 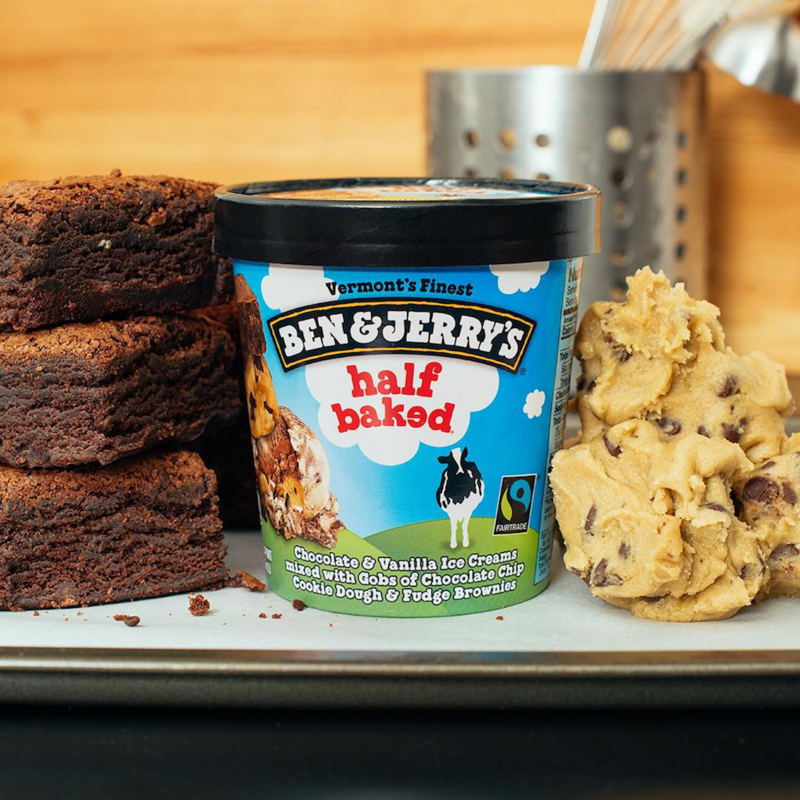 Cookie dough, fudge brownies (but so fudgy they taste like brownie batter), and the two mainstays of ice cream flavors, Half Baked is in a league of its own. Plus, if you’re lucky to find it, they put it in bars and dip in chocolate. 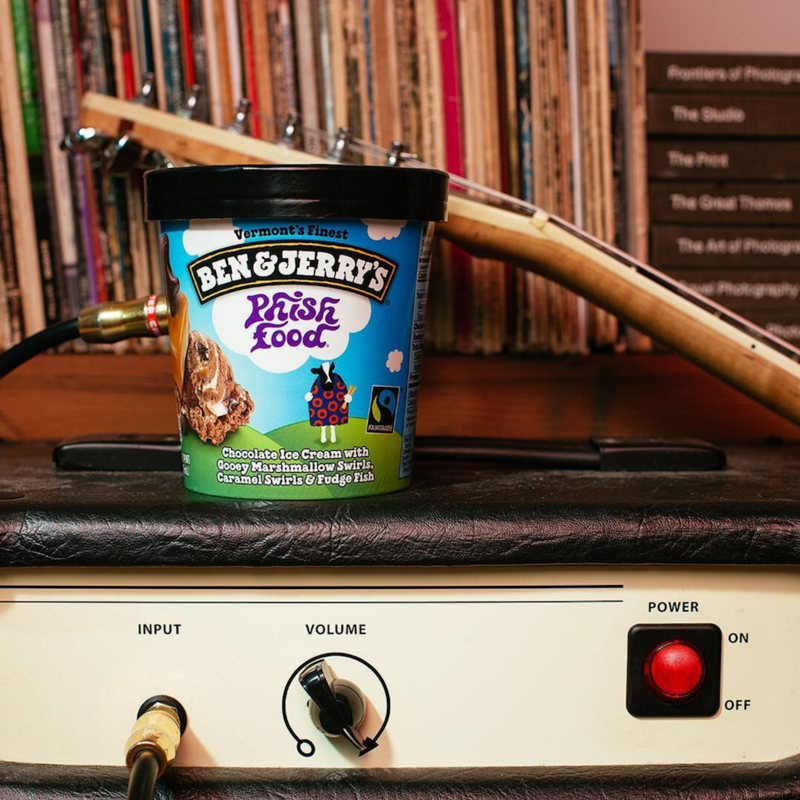 And throwback to the limited edition peanut butter half baked – a true genius creation. The combination of sweet cream ice cream and salted caramel works so well it’s no wonder this company makes millions. The blondies are a welcome addition of crunch, but when the going gets tough I prefer to just spoon out the salted caramel. It’s thick, it’s salty, and it’s all you need sometimes. 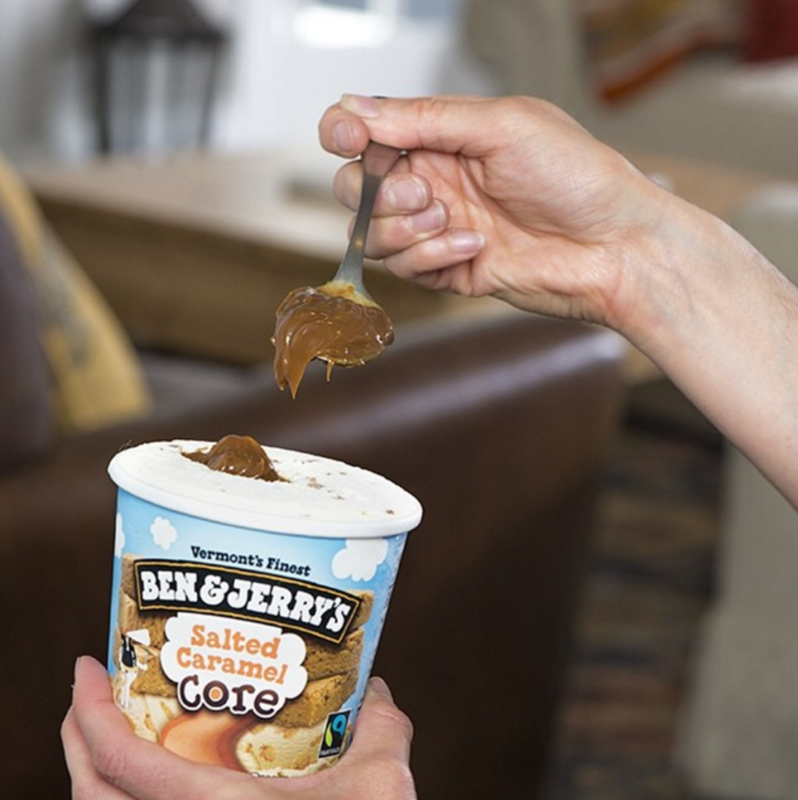 If you’re not a fan of this flavor, though, Ben and Jerry’s has plenty of other caramel choices. The original late night TV show host flavor, Americone Dream is one of the first ice cream flavors to successfully do the crunchy mix-in. The waffle cone pieces are actually the best part. 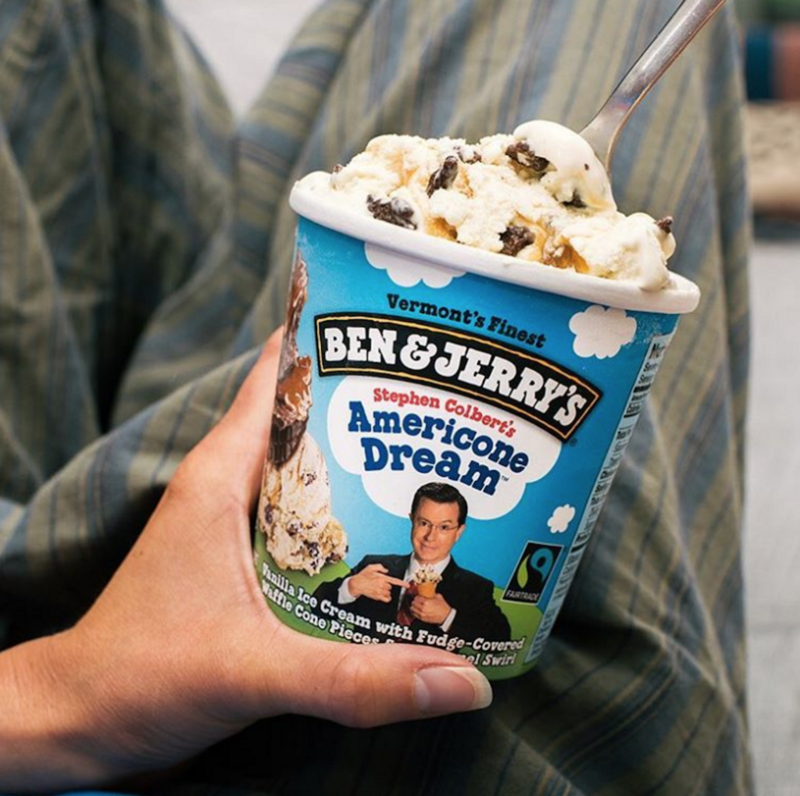 Or the fact that Stephen Colbert donates some of the proceeds to charity (his Americone Dream fund). Either way, even if you feel guilty about not going to the gym while eating this, you don’t have to feel completely guilty. This flavor (for me, at least) really came into the spotlight with the wonderful movie Aquamarine. Once I found out about it, this flavor became the go to anytime you needed a chocolate fix or it was too hot for s’mores and you wanted marshmallows. The band also had to approve the flavor, so you KNOW it’s a good one. This flavor’s title alone gets you hyped up for all the caffeine in it. 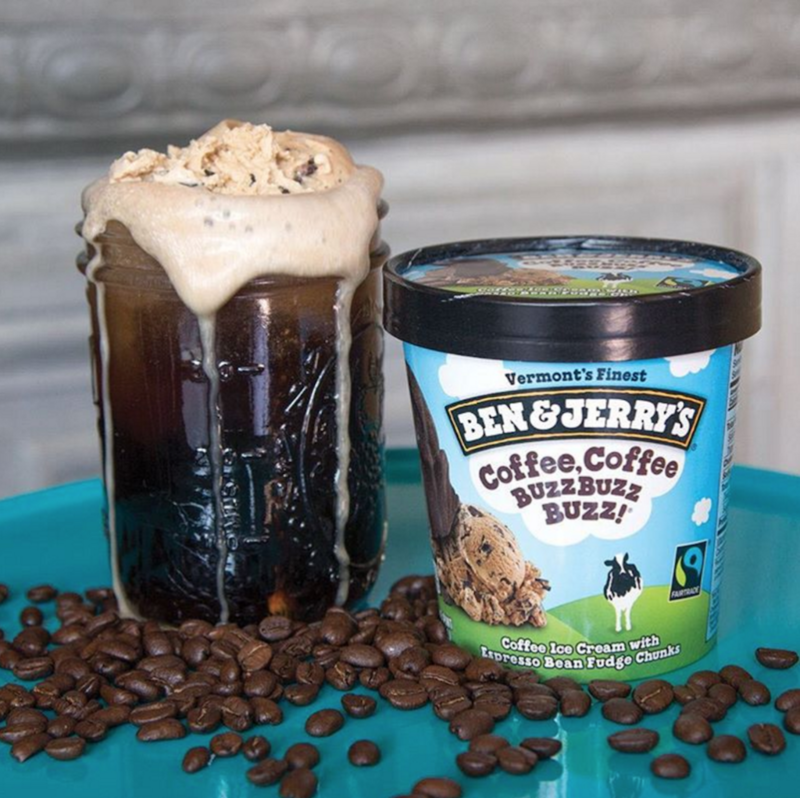 Coffee Coffee Buzz Buzz Buzz is not only one of the best coffee ice creams, but I feel like it could also be your daily caffeine fix. It is the richest coffee ice cream I’ve ever had, and actually tastes like a cup of joe. Plus, the espresso bean fudge chunks are a step above your typical chocolate chips. This flavor is the ultimate Ben and Jerry’s flavor. When I think of their ice cream, this is the first flavor that pops into my mind. It’s so unique, and the cherries combine with the chocolate so deliciously. 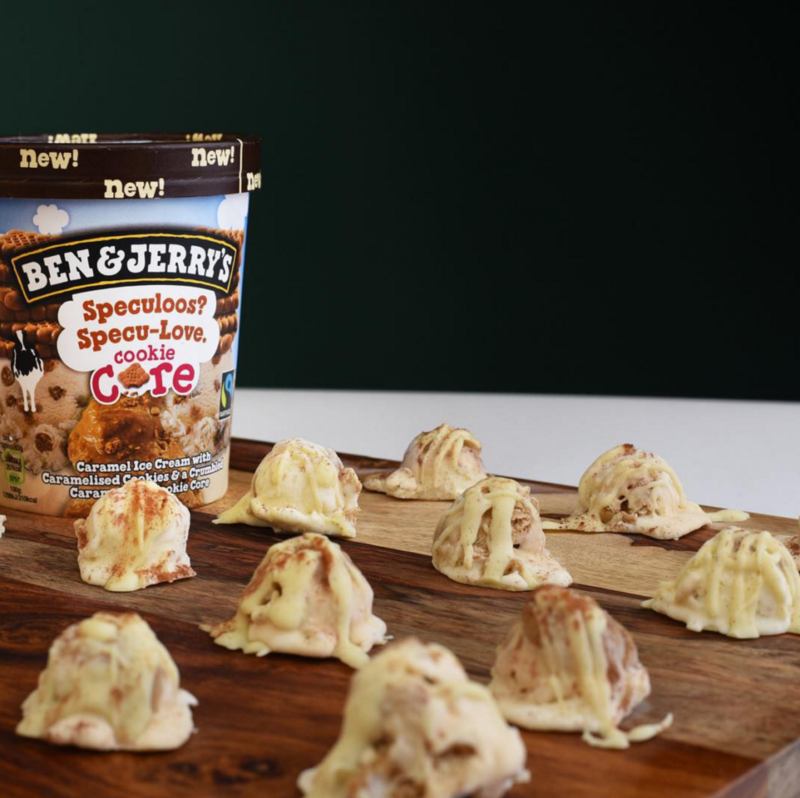 Plus, the name is one of the more clever puns Ben and Jerry’s has used in their flavor names. For those of you who don’t know what speculoos is, are you living under a rock? And for those of you who do (and love it), this is the best thing that could have ever happened. Now we have something to top our waffles and cookie butter with, and Trader Joes is getting a run for their money with this cookie butter core. 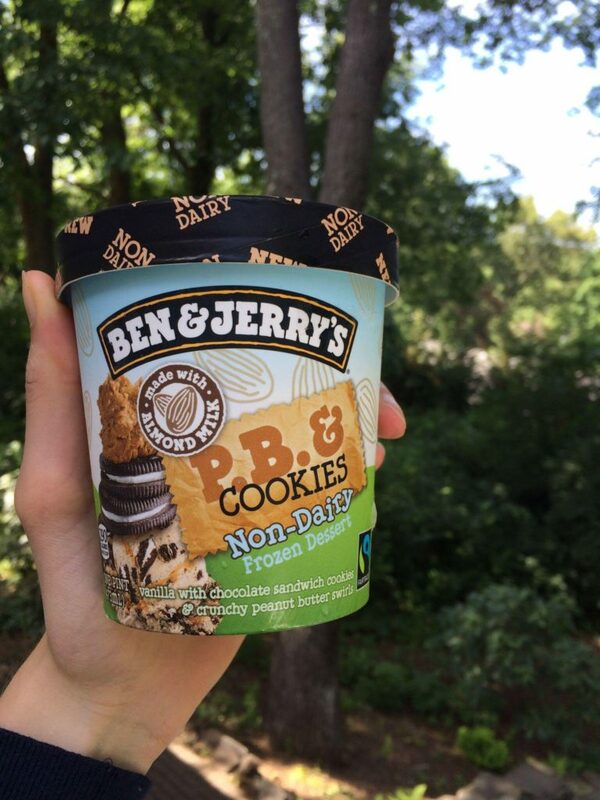 For all those dairy-free ice cream lovers out there, the PB and Cookies flavor is seriously a game changer. This flavor combines two classic flavors in a dairy-free dessert that is sure to please anyone who is lactose intolerant (or wants a different flavor). It’s time to pour one out for the genius of late night comedy’s original Ben and Jerry’s flavor. Only someone as creative and wonderful as Jimmy Fallon would think to put chocolate covered potato chips in a pint of ice cream. This flavor will always be missed, but I cannot deny his second – The Tonight Dough – is being hailed as the next best flavor ever. 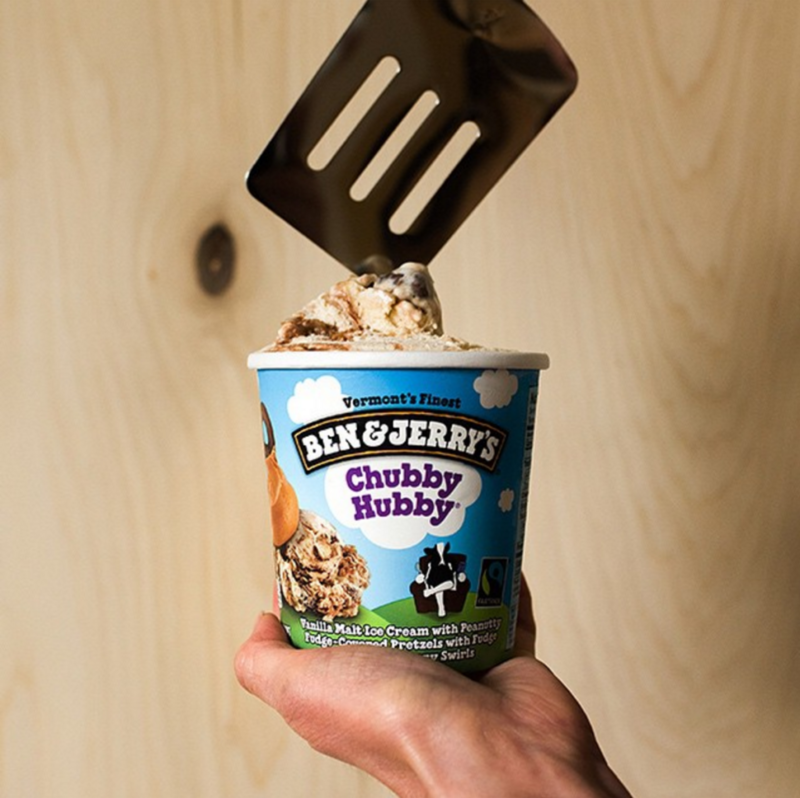 Grab a spoon, a movie, and your favorite person to share a pint with, and get scooping.